We are so honored and happy to announce that Carmella Evans-Molina, MD, PhD has joined the Network for Pancreatic Organ donors with Diabetes (nPOD) program to serve as a Co-Executive Director and be part of the leadership team. Carmella is a physician scientist with strong type 1 diabetes (T1D) research background. She joined the faculty of the Indiana University School of Medicine in 2008. She is the J.O. Ritchey, M.D. Scholar of Medicine, Associate Professor, Medicine, Cellular & Integrative Physiology, Biochemistry & Molecular Biology. She is the Associate Director of Development and Community Engagement, IU Center for Diabetes and Metabolic Diseases (CDMD), Diabetes Program Director, Herman B Wells Center for Pediatric Research and the Director of the Indiana Diabetes Research Center Islet and Physiology Core and a Staff Physician at the Richard L. Roudebush VA Medical Center. 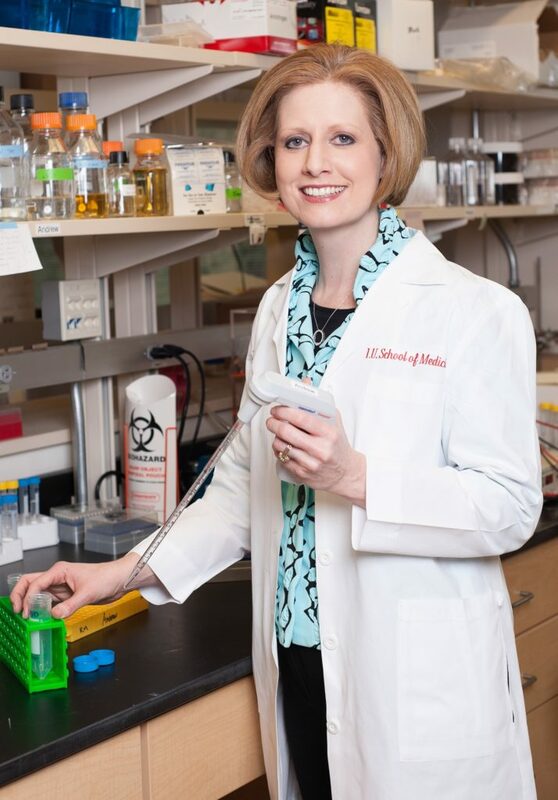 Dr. Evans-Molina’s research program is focused on defining the molecular and inflammatory etiologies of β-cell dysfunction that contribute to the pathophysiology of diabetes mellitus. She is an investigator in the Type 1 Diabetes TrialNet Clinical Network, where she serves as a Scientific Advisor, Chair of the β-Cell and Metabolism Working Group, and Chair of the Long-Term Investigative Follow-Up (LIFT) study. Dr. Evans-Molina is also a member of the NIH Human Islet Research Network, where she serves as Chair of the Translational Working Group. Carmella’s breadth of experience in basic science, translational, and clinical projects together with secondary analysis of TrialNet data/specimens; and clinical trial design complement her well to Dr. Atkinson and Dr. Pugliese to help guide nPOD’s overall scientific mission.